corner of Van Ness and Cesar Chavez (formerly Army Street) in San Francisco. Logo: A torch with a large O. 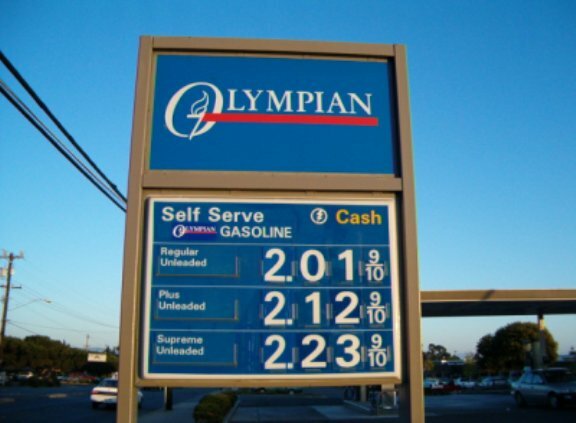 Originally the gas was called Olympic Gasoline. but they were rather common some years back. See www.oly.com for their website. Photos and notes by J. Eric Freedner. 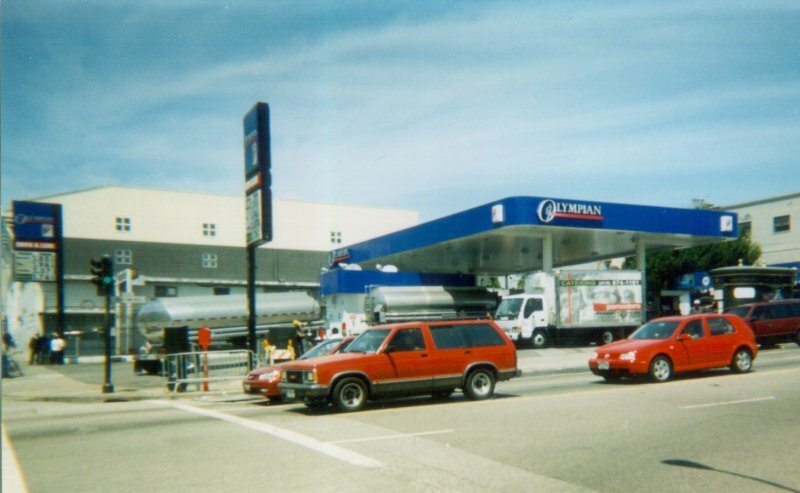 Photos taken July 20, 2003.
just north of Watsonville, CA. taken Sept. 5, 2004 by J. Eric Freedner. 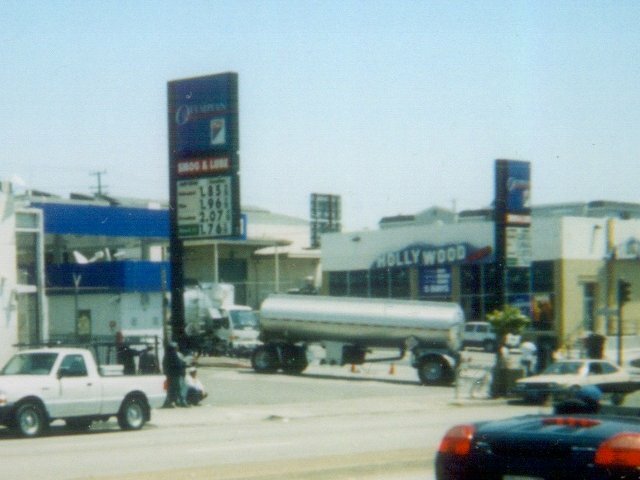 This is a former Exxon location.